In the past, for residents of Boao, then a fishing village sitting on an estuary in China’s southernmost Hainan Island, the world was a remote, inaccessible place on the other side of the raging sea. 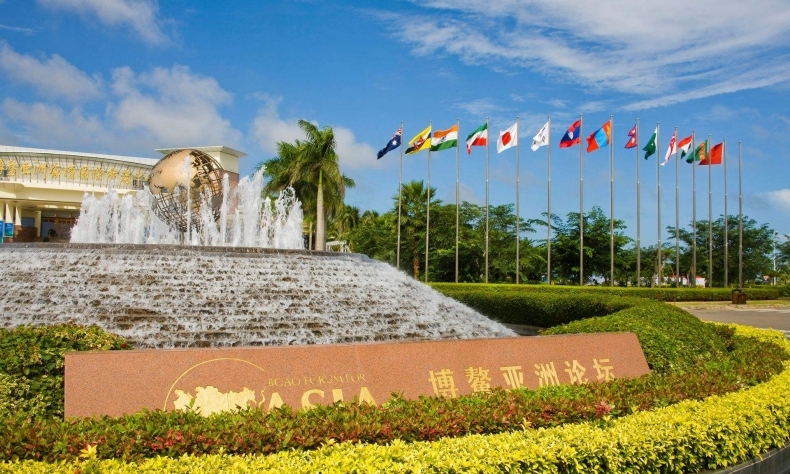 Then the Boao Forum for Asia (BFA), a non-profit promoting regional economic integration and globalization, was founded in 2001 and subsequently, chose Boao as the permanent venue for its annual conference. It turned into a “village of diplomacy” where the world descends every year. 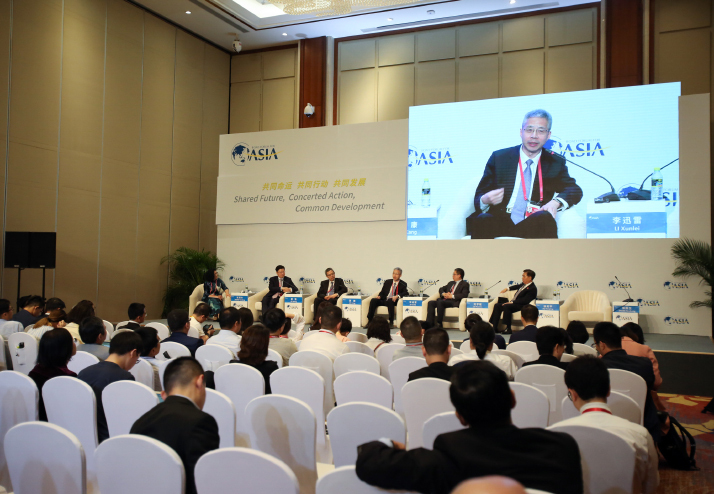 This year, when the annual conference, themed “Shared Future, Concerted Action, Common Development,” ran from March 26 to 29, BFA Secretary General Li Baodong outlined the most prominent challenges the world faces today–development and global governance. He also stated the aim of the conference: to review ways for economic growth and technological innovation while coping with the impacts of unilateralism. The annual brainstorming, he hoped, would catalyze more actions to promote common development in Asia and beyond. This year, the conference attracted over 2,000 delegates from 66 countries and regions. The past year has seen the global multilateral trade and economic system confronted with difficulties. The uncertainties will continue in 2019. Zhang Tao, Vice President of the International Monetary Fund (IMF), said the world economy faces a tense situation caused by different countries’ trade policies. Zhang Yuyan, Director of the Institute of World Economics and Politics under the Chinese Academy of Social Sciences, considered the U.S. monetary policy to be an uncertain factor. “It remains to be seen whether it will adjust its neutral policy, which will have a profound impact on the global economy, asset and commodity prices, and the debts of developing countries,” he said. For Hitoshi Suzuki, a member of the Policy Board of the Bank of Japan, trade and monetary policies were predictable and controllable through negotiations and the market. However, the unpredictable technological revolution is where the uncertainty lies. Suzuki said while one solution to cope with Japan’s population decline and its ageing is to make full use of artificial intelligence (AI), robots and automaton, it is a hard balancing act. If AI is overused, it will affect the labor market. Zhang Tao’s suggestion was to do the “right” things. First, creating right macroeconomic policies conducive to inclusive and sustainable growth. Second, undertaking structural reform to address problems such as lower labor productivity and the ageing population. Third, focusing on innovation. Innovation played a major role in boosting growth during the past 20 years. New technologies and information and communication technology contributed to more than 30 percent of per-capita income growth, he said. He also emphasized the importance of advancing economic integration in Asia. According to the IMF’s 2018 Regional Economic Outlook: Asia Pacific, if all Asia opens up to the whole world by eliminating goods tariffs, reducing nontariff barriers on services and liberalizing foreign direct investment restrictions, Asia’s GDP would rise on average by nearly 12 percent. 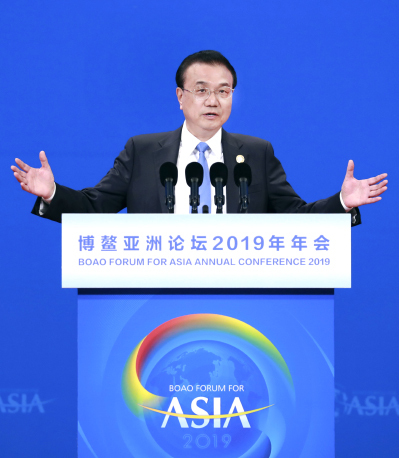 Anti-globalism and protectionism were the biggest concerns of the conference participants and common development was their common aspiration, Li Baodong said at a press meeting. The recovery of the world economy is based on the dividends of international cooperation. So when globalization is impeded and international cooperation does not increase, it is hard to generate the dividend and underpin the growth of world economies. 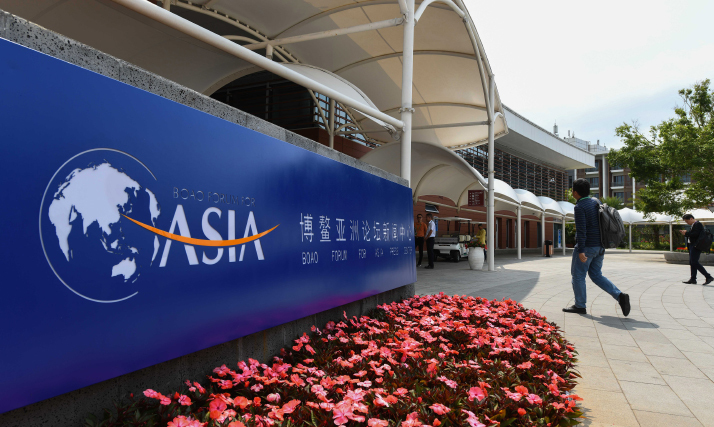 Accelerating integration of Asian economies and regional cooperation is the way to tackle the problem, according to the Asian Competitiveness Annual Report 2019, one of the four reports issued by the BFA. In 2018, 27 Asian economies improved their competitiveness score compared with a year earlier, and the gap between different economies narrowed down, indicating healthier and more balanced development of Asian countries, according to the report. The prospects of emerging markets and developing economies in Asia remain optimistic, and they are still one of the major engines underpinning the world economy, it said. Since the fall of 2018, the world economy has taken a downward trend and uncertain factors accumulated. Nevertheless, Asia accounted for 60 percent of the world economic growth, showcasing huge vitality and potential, Kent Calder, Director of the Edwin O. Reischauer Center for East Asian Studies, Washington, D.C., said. In addition, the E11, the 11 major emerging market economies in the Group of 20, registered 5.1-percent growth in 2018, which was basically in line with the optimism. The world economy may trend down in 2019, which will spill over to affect the performance of the E11. But as the economic restructuring brings dividends and reforms deepen in emerging market economies, the E11 economy is expected to maintain mid to high growth in 2019 and remains an indispensable driving force for global economic expansion, according to the Development of Emerging Economies Annual Report 2019. The third report, the Progress of Asian Economic Integration Annual Report 2019, said 17 new free trade agreements were signed during 2017-18 involving at least one Asia-Pacific economy. About 70 agreements are currently under negotiation. Negotiations for the multi-member Comprehensive and Progressive Agreement for Trans-Pacific Partnership and the Regional Comprehensive Economic Partnership have also been accelerated. The Asia-Pacific has become one of the most active areas for regional integration with its economies becoming more interdependent. The fourth report, the Asian Financial Development Report on Infrastructure Finance, said insufficient and inefficient infrastructure has become a development bottleneck. The Belt and Road Initiative has brought investment for infrastructure construction, which has cut trade costs in the countries on the initiative’s routes by 3.5 percent, indicating the significance of infrastructure construction. The surging demand for high-quality infrastructure has given rise to projects such as the Belt and Road Initiative and the Master Plan on ASEAN Connectivity 2025, with countries and regions sparing no effort to address infrastructure financing difficulties. This will lay a solid foundation for economic integration in Asia, it said. Taking into account the complicated situation Asia and emerging market economies are facing, the four reports have still indicated confidence in economic development and regional cooperation in Asia. Zhang Yuyan quoted an old Chinese saying, “Cope with shifting events by sticking to a fundamental principle.” He said given the current context, the fundamental principle has several layers of connotation, among which international cooperation is the most important one. China has been following this principle all along. As one of the most crucial links in the Asian economic integration, China has its own wisdom to cope with uncertainties. The past 10 years have seen China contribute one fourth to one third of the global growth. The experience and lessons accumulated during the 70 years since the founding of the People’s Republic of China are helping many countries in their development drive. Gloria Macapagal-Arroyo, Speaker of the House of Representatives, the lower house of the Congress in the Philippines and former President of the island state, agreed with Li. She said China’s development has made the world realize that each country can find its own way of development according to its own situation. Among all the efforts by China to promote integration in Asia and globalization, the Belt and Road is a major initiative. Proposed by China in 2013, it has since gained momentum with countries and regions along the envisioned land and maritime routes joining in. The recent signing of a Belt and Road cooperation memorandum of understanding between China and Italy is a new proof of the initiative’s popularity. China’s deepening reform and opening up is also one of the ways to not only benefit China itself, but contribute to global development, Long Yongtu, former BFA Secretary General, said. Long said China should not only introduce capital, talent and projects, but also growth drivers. Only by increasing interactions with the outside world and encouraging mutual development can China deepen its own reform and become an innovation-driven country. 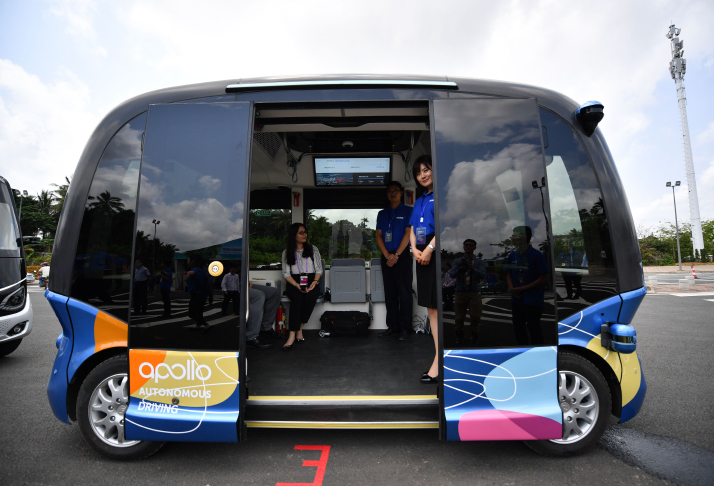 Innovation was a buzzword at the conference where participants were treated to intelligent vehicle services and AI-based simultaneous interpretation. Regarding concerns over technologies, Wong Kan Seng, former Deputy Prime Minister of Singapore, said instead of fearing them, people need to embrace them. They are no job snatchers but provide more freedom to people to do other things. China has demonstrated its innovation in creating new business models such as the sharing economy, e-commerce and e-payment. These new innovative growth drivers will not only create advantages for China, but generate vitality for the economic development of Asia and the rest of the world. “While experiencing miraculous development, China also faces challenges,” Francois Hollande, former President of France, said, suggesting China could follow up with new ways to respond to climate change and the problem of an ageing population. Li Daokui said China should also adopt an incentive mechanism to motivate entrepreneurs, scientists, innovators, and government employees to cultivate internal forces for development.